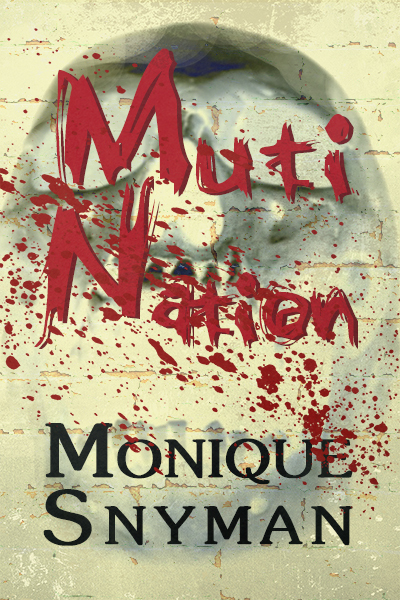 Today, I’m speaking with fellow Omnium Gatherum scribe, Monique Snyman, from Pretoria, South Africa about her new novel, Muti Nation. Muti Nation: What inspired this cool-sounding story? I sometimes Skype with a friend in England who’s rather fond of unexplained phenomena, and somehow we got to talking about traditional beliefs. I told her about muti-murders and tokoloshes and sangomas, and I watched her jaw drop in response. These things that South Africans live with every day are unknown in the outside world. She was so enthralled by what I was telling her, she told me to write a book about it, and so I did. It took three years to write, because it hits a bit close to home in places, but I’m glad that I could tell the story. Occult detective tales have been a staple of horror and speculative fiction for decades – what is it about yours that sets it apart from the rest? Ooh, this is a good question! Well, firstly I think it’s because Muti Nation is quite unique for the genre. The book is set in predominantly Pretoria-West—my hometown—and none of the other authors I’ve read seems to set their books in that particular area. It’s always Johannesburg or Cape Town if they choose a South African setting. Furthermore, Muti Nation’s plot is very real at times. Muti-murders happen frequently, we just don’t talk about it. Sometimes reports of tokoloshes make it to the newspapers or magazines, but it’s still not polite to speak about it. The reason for all of this is because the veil is much thinner here in Africa and people are scared. It should be noted we’re more afraid about what lies in the unknown than what other people will think of us. Mostly, however, I think Muti Nation is different to other occult detective novels because my protagonist, Esmé Snyders, is not a paranormal investigator (even though I think she wouldn’t have minded chasing ghosts). She’s an academic who just happens to be interested in fringe sciences, who wants to explain the unexplainable. Muti Nation sounds like a much different type of story to your previous novels. Was this novel easier, or harder to write? Much harder. I’ve always loved horror as a genre, and I’ve dabbled in it with short stories, but I didn’t realise how difficult it would be to get a full novel written. That said, I think the most difficult part about switching genres was realising I had been fooling myself when I began writing for an audience who thought I was something I’m not. I’m not a googly eyed school girl who pines over a guy like some helpless maiden. I’ve never been like that. For some reason, though, that’s what I wrote in the past. In my defence, I was a nineteen year old idiot at the time and I knew nothing about the business. *laughs* Muti Nation on the other hand is completely me. I take the reader on a journey through my hometown where we meet some people I’ve met in real life. Even my writing sounds more like me in this book. So, yes, it was much harder, but by the end of it I was for more fulfilled as an author. You’re also an editor for Crystal Lake Publishing. What’s harder – writing or editing? In my opinion, writing. I started off as a reviewer, so I’m good with critiquing other people’s work and I’m quick to pick up mistakes as an editor, but being on the other side of the red pen is hell. What does writing mean to you? What does the horror genre mean to you? Writing is a coping mechanism. Sometimes something pops into my head and it just will not leave until I’ve explored the idea. Most of the ideas goes into the scrap bin, because they’re just plain horrid at the end of the day. As for the genre itself … Well, it’s a part of me. I watched my first horror flick—Child’s Play—when I was three (it wasn’t my mom’s fault, I snuck into the living room after bedtime while my older cousin and she was watching it), and I did it again with Nightmare on Elm Street, and then with Halloween, etc. The genre has always been fascinating, so it just became one of the building blocks that makes me Monique. What’s next for you? What are you writing right now? Right now I’m exploring a monstrous concept. Vague, I know, but it’s still in its preliminary stages. I’m also working on getting my thoughts together for the sequel to Muti Nation. The ideas are flowing, and the words are coming, I just need to put them down in the right order. It’s live! 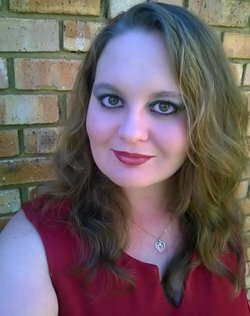 https://darkscrybe.com/2016/07/21/author-interview-monique-snyman/ Thanks for that!